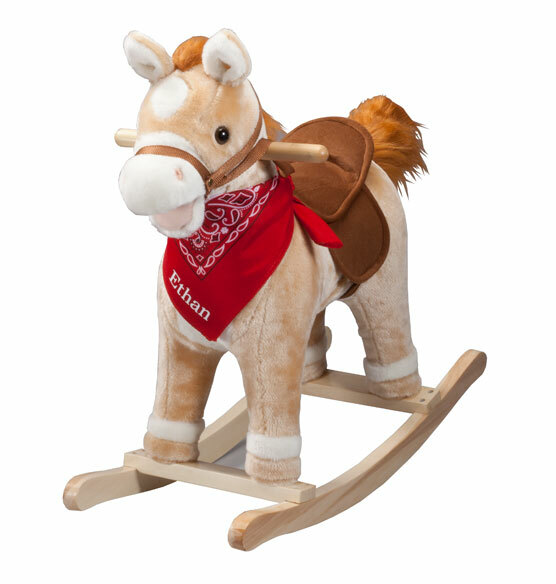 This personalized animated rocking horse with sound makes the ride fun ... flappin' her mouth and waggin' her tail to musical tunes and the sounds of clippity-clop gallops and neighs! 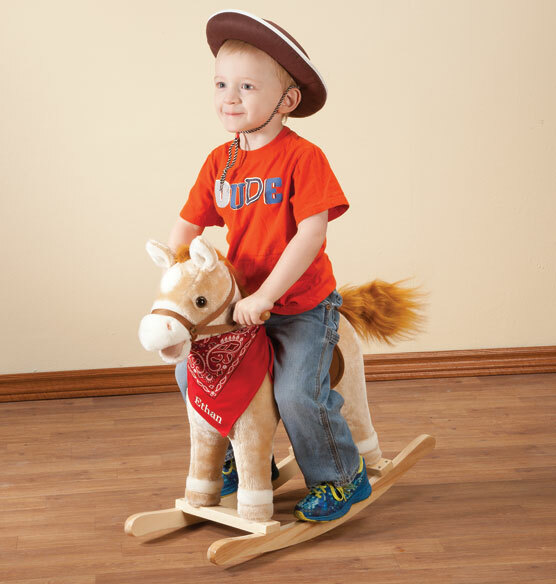 Little ones can saddle up, grab the easy-grip handles and rock away, easily squeezing the horse toy's ears to activate sounds and motion. 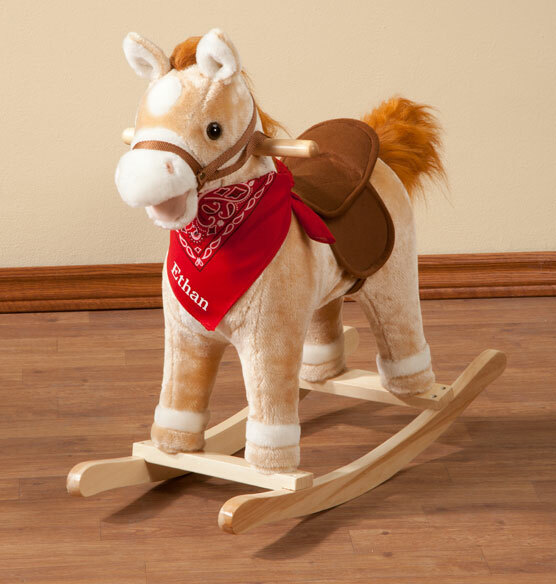 Offering hours of interactive, imaginative play, the soft plush horse is wonderfully detailed with plastic eyes, fun-to-touch mane and tail, soft, comfy saddle and classic bridle—securely attached to a sturdy wooden rocking base. She’ll arrive wearing a colorful bandana—which we’ll personalize for one lucky rider! Specify name; limit 1 line, 12 letters/spaces. Polyester plush, wood. Requires 3 AA batteries (not included). 25" long x 24" high (seat height is 17" high). Some assembly required. SMALL PARTS. Not for < 3 yrs.